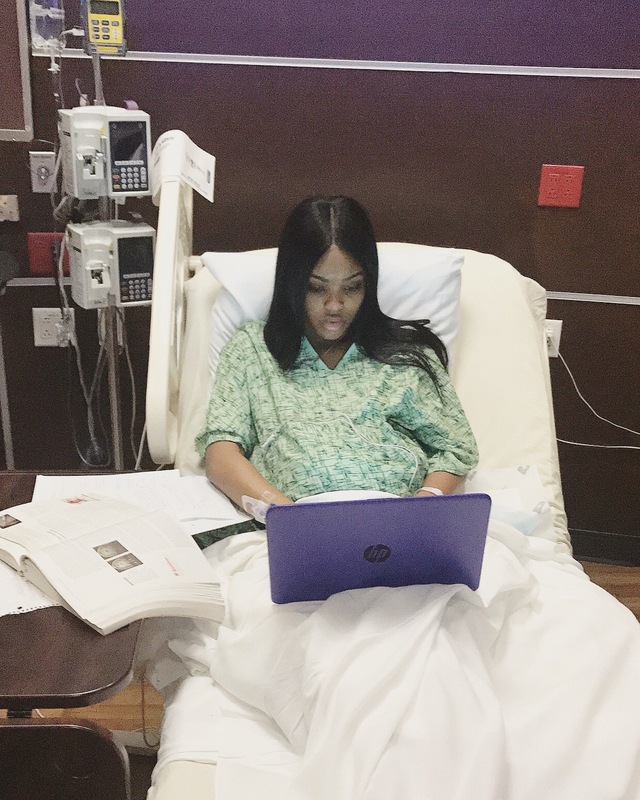 A College student in Missouri recently displayed what it means to be a super woman when a photo of her in bed working on a final while in her labor and delivery bed went viral. She was working on her dissociative identity project for her major’s final at Johnson County Community College in Kansas City, where Thomas is a student. The diligent coed was determined to complete the assignment on time and avoid an “incomplete” grade even though it wasn’t due until the end of that week. By the way, did we say she also had to have a blood transfusion too? Thomas’ post has received 131+K likes and over 27,000 retweets! 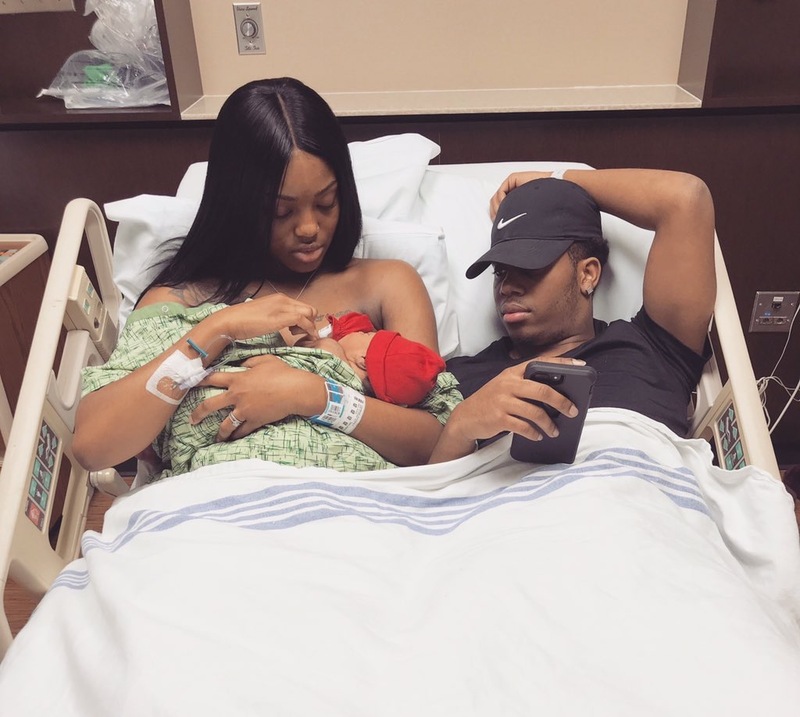 She shared a precious photo of her brand new son Anthony Alexander and husband Daivon Alexander in bed. The share came with an update on how difficult the labor, delivery and post birthing of son Anthony was. 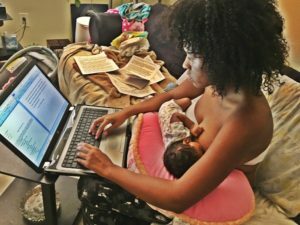 “School is so important to me,” Thomas told Yahoo, adding that she stayed in classes until she was 39 weeks pregnant because of the importance of a college degree. You can check the over 250 replies to the tweet to see all the supportive comments others have left including pics and stories of other hardworking and devoted pre-delivery students. 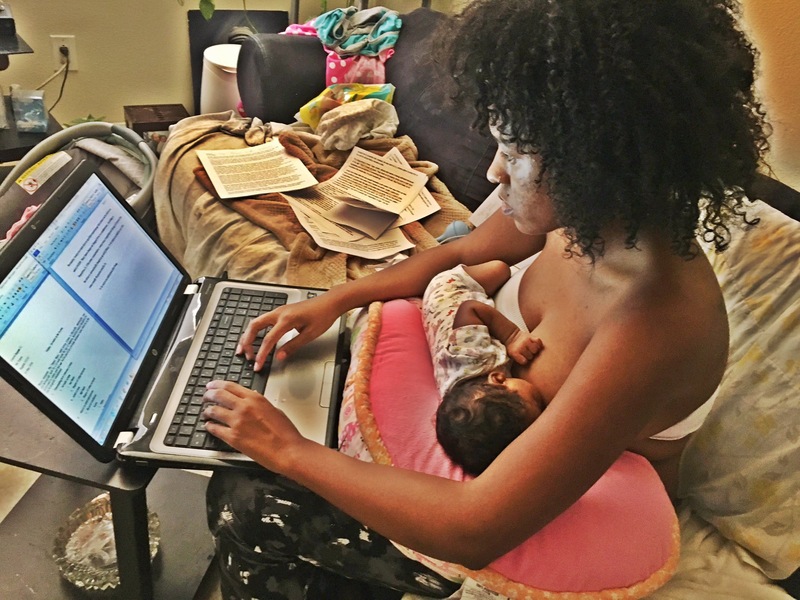 One other particularly amazing woman shared a photo of herself breastfeeding her newborn while still working on her final. A Texas teacher’s note to parents is going viral, thanks to a student-friendly approach to homework that seems to be going over well with parents, too. After undergoing several rounds of in vitro fertilization (IVF) and taking fertility pills to try to get pregnant following a miscarriage, finally got pregnant. Inspired by a viral photo posted the fertility clinic of Sher Institute last year, Rodeffer put her own success story on social media. She decided to model her pregnancy announcement after the viral photo. She arranged the empty pill bottles and syringes in the shape of a heart, and positioned a photo of her latest sonogram and a onesie with the words “Worth the wait and wait and wait” inside in an Instagram photo. Her photo too, posted a month ago actually, has gone viral now that a bunch of media outlets are finally reporting about it. Get ready for some serious tears! Doug Price’s wife set him up to take a video to enter a trip to Aruba and got a big surprise when she told him that she was finally pregnant after 5 years of struggling with infertility! “My wife says that she can never surprise me” reads the YouTube video caption “Well she got me pretty good with this one. We were entering a contest to win a trip to Aruba when she decided to tell me the good news, unfortunately we did not win the trip but I still think we got the better end of the deal!